Mike is the mastermind behind the wheel designs and lives in Washington State. He has over 30 years of experience making spinning wheels. His designs have brilliant, intuitive engineering features that spinners around the world have been asking for. When he is not on the phone answering customer questions, he is in one of his workshops working on a new innovation in spinning equipment. He also builds, assembles, and ships all Pollywog orders from his workshop in Winlock, WA. Roy is the owner of Wallace Wood Products in California and his team cuts, sands, and assembles each SpinOlution wheel by hand. Roy works with Mike fine tuning wheel designs and continually making improvements in every step of manufacturing. When his team isn't building SpinOlution wheels, they are building wine boxes and display cases for companies around the USA. Mandy test drives every wheel that is built to make sure that it works perfectly before shipping. When she isn't test driving wheels for SpinOlution she's loving being a full-time mom of six beautiful children. She is also a SpinOlution Dealer in California. Ashley Martineau started working with SpinOlution in 2015 to update their website and branding. 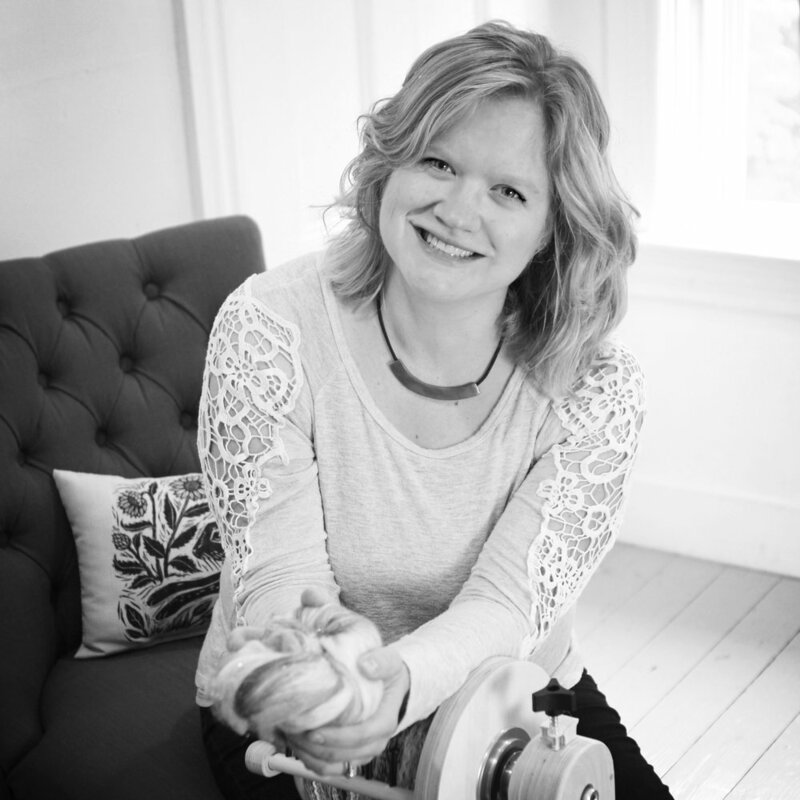 She is the author of Spinning and Dyeing Yarn and you can find her free spinning video series on her website How to Spin Yarn. She is also a dealer in the Boston / Providence area and engineers our marketing, graphic design, social media, Spin Her Free fundraiser, and website.